The notion of English literature is rather broad, and it does not necessarily include works written only by British authors. 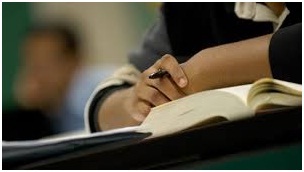 Usually, literature studies begin at school, and then continue in college or university. Sometimes, studying of English literature might seem hard, especially for ESL students, but there are some techniques that will help you make this process easier. One of the approaches to studying literature is by learning it according to different historical and/or cultural periods. For example, you might start with Old English literature, continue to the Middle Ages literary works, and go on further. Chronological literature studies will help you to systematize the knowledge and avoid confusion. You can write a report on a book of interest. For this, you will have to read and analyze a literary work, and then produce a book report outlining the book settings, major characters, the plot and the raised dilemmas. This exercise will help you to gain a deeper understanding of literary analysis and will assist you in developing better reading comprehension. If you need an example of a proper book report, you can go and consult qualitycustomessays.com. You can always deepen your knowledge of English literature by taking online and distant courses. They will help you to enrich your vocabulary and to learn various writing methods and techniques. Maybe, after taking a course, you will decide to start writing yourself! In addition, there are websites on which you can read a literary work online and then test your comprehension by answering questions. What is more, you can create your own test and offer some users to pass it. In fact, studying literature is not as hard as it might seem. It just requires a lot of determination, attention, and self-motivation. However, all the efforts are worth the obtained result. Study English literature in your free time and enjoy it!